Your phone. In today’s society, it’s hard to picture life without it. It keeps you connected, it keeps you entertained, and it keeps you busy—but one thing it doesn’t necessarily do? “While the indiscriminate use of the cell-phones to call, send texts, emails, etc. might seem as it enhances productivity, it is, in fact, counter-productive,” says Simon Gottschalk, PhD, a professor of graduate studies at the University of Nevada, Las Vegas and author of The Terminal Self: Everyday Life in Hypermodern Times. Phones masquerade as productivity boosters, what with their instant access to email, Google, and every app you need to run your business and get stuff done. But the truth is, more than anything else, phones act as a distraction—and they’re distracting you from building your best business (and life). But how, exactly, do phones negatively impact productivity and distract us from what’s important? What is your phone addiction doing to your life, brain, and business? And, most importantly, how can you take control of your habits and create a relationship with your phone that boosts productivity—not hinders it? If you’re like most people, you’re using your phone in a way that’s completely tanking your productivity. But what does that look like? What are the concrete ways your phone is negatively impacting your ability to get things done? The biggest way your phone is causing your productivity to tank? Acting as a 24/7 distraction. “Phones provide an easy distraction from work tasks. 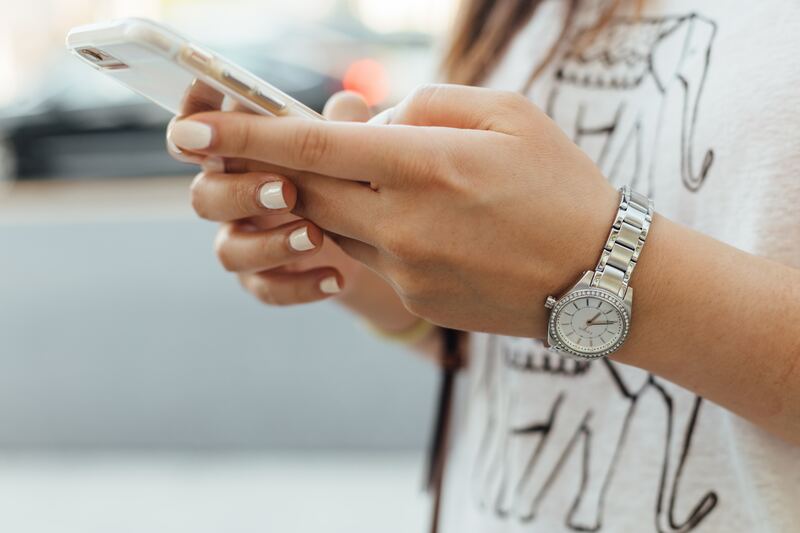 With news updates, friend messages, and social media notifications, it’s easy to get sidetracked when the phone buzzes,” says Dr. Brian Cassmassi, a licensed adult psychiatrist in Los Angeles, California. Every time your phone buzzes, whether it’s a text notification, a new email that hits your inbox, or the latest social media update, it pulls you away from the task at hand—and every time you get distracted, it gets harder to concentrate and actually complete whatever you’re working on. According to a recent study from UC Irvine, it takes over 23 minutes to refocus after a distraction—so every time your phone buzzes with a new notification, it’ll take you almost a half-hour to get back on the focus level you were at pre-distraction. And considering the average person gets almost 50 push notifications per day? That’s a whole lot of time wasted on phone distractions. And notifications are just the tip of the iceberg. “If we are not checking to see what is going on after getting a notification, we are responding to a text, retweeting a post, liking a picture, or responding to an email. In some ways it is amazing we can even get anything done during the day considering how much time we spend on our phones,” says Selepak. Whether it’s through notifications, alerts, or the pull of a “quick” social media check, phones act as a pretty much 24/7 distraction—and that distraction is keeping you from being able to get your best work done. Your phone stores a lot of information—which then becomes information you don’t have to remember. But that’s not necessarily a good thing. Gottschalk calls it “outsourcing our memory”—and it’s seriously messing with your brain’s ability to recall information. 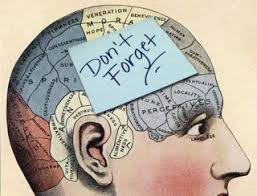 “As we are outsourcing our memory, we are weakening all the cognitive functions necessary for memorization. According to experts, these changes alter the very architecture of our brains,” says Gottschalk. Not only does outsourcing tasks to your phone affect memory, but it turns out, so does the phone itself. A recent study found the radiation from cell phones can have a negative impact on the figural memory performance—and other studies suggest the exposure to a phone’s electromagnetic field can impact memory in as little as 5 minutes. You need a sharp memory in order to hit your productivity potential. But your phone? It’s not doing you any favors in the memory department. Part of being productive is being able to maintain positive working relationships with the people around you. But if you’re glued to your phone, it’s probably inhibiting your ability to keep those relationships on good terms. “When we look through our phone on social media or in our email [when we’re interacting with someone else], we are searching for something interesting or important. But this indicates that the person in-front of us is less important than the thing we are searching for…on our phones,” says Selepak. 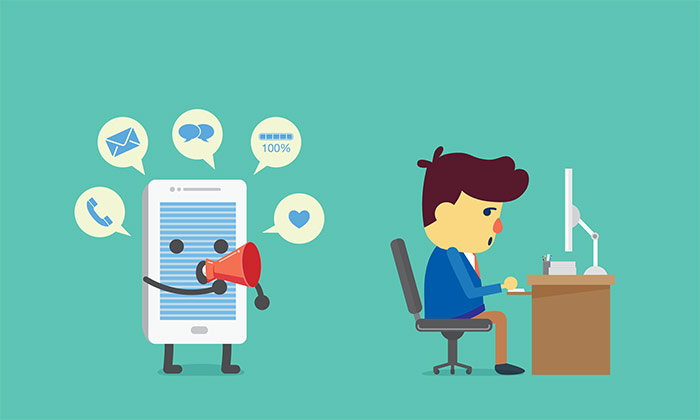 The way people forgo interacting with the people that they’re with in favor of interacting with their phone is such a rampant problem in today’s society, it has its own title—”phubbing.” And if you’re constantly phubbing at the office, your relationships are going to take a hit—and so will your (and your team’s) productivity. Sleep is like a productivity superpower—get enough high-quality shut-eye, and you can get more done than you ever thought possible. Don’t get enough and your productivity will spiral. And one of the main reasons you’re not getting enough sleep—and not taking advantage of that superpower? You guessed it—your phone. Your phone can mess with your sleep a few different ways. And the first? By continuing to be a distraction—even after you’ve fallen asleep. Your phone can also mess with sleep from a biological perspective. 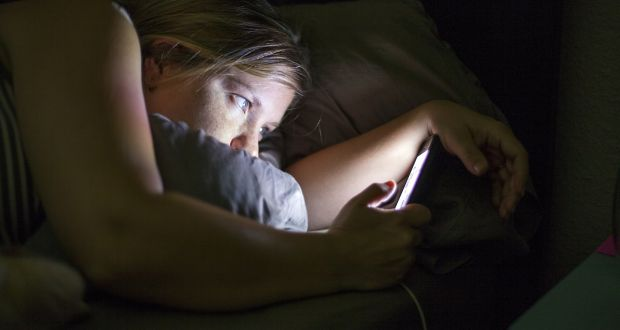 Your phone emits blue light, which prevents your body from producing melatonin (also known as the “sleep hormone”). Basically, using your phone too late in the day can actually trick your body into thinking it’s daytime—making it much harder to fall asleep when your head hits the pillow. You need to get a good night’s sleep in order to be productive. But you can’t get a good night’s sleep when your phone is in the way. So clearly, your phone is messing with your productivity in a major way. But let’s be real—you’re not going to get rid of your phone. And you don’t have to! 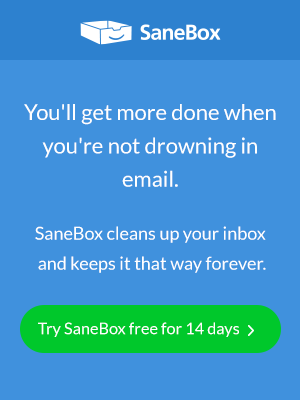 It’s not about eliminating your phone use altogether. It’s about figuring out ways to make your phone work for you. Like we mentioned earlier, phones are a 24/7 distraction. So if you want to get more done, choose times to strategically disconnect from your phone—and all the distractions that go with it. If you have to power through an important project, power off your phone. If you have a brainstorming meeting with your time, turn off your device and give them your full attention. And if you can’t power down completely, at the very least turn off notifications. Turning off your notifications (and all the buzzing and beeping that goes along with it) will not only stop your phone from distracting you—it’ll also give you back a sense of control. “While you may still check it, the control is placed back into the hands of the user because they decide when to look at their phone instead of being compelled by a notification,” says Sepelak. If you want to keep your phone from messing with your sleep habits, make bedtime a screen-free zone. “Best to have about half an hour or more of screen-free time before bed if you want to fall asleep more easily,” says Cassmassi. In addition to shutting down the screens before bed, try charging your phone outside of the bedroom; that way, if any calls, texts, or messages come through during the night, there’s no chance the noise or light will wake you up—and you’ll get deeper, more restful sleep as a result. If you find yourself losing hours of the day to Facebook or Candy Crush, strategically organizing your apps can help you make more productive use of your phone. If you’re not careful, your phone can ruin your productivity (and, in certain ways, your life). But now that you know how your phone affects productivity, you have everything you need to not fall into that trap. So go ahead, use your phone—just make sure you’re using it in a way that helps you get things done. Previous Entry Is Procrastination Really A Bad Thing?